I wrote a few weeks ago about the ICD-10 planning debacle at our hospital. Our ICD-10 task force had come to a physician staff meeting to discuss the transition plan, which had been created in a silo. I asked betting folks how long they thought it would take until the application team managers were asked to redo the planning. Any of you who guessed four days wins a prize. The announcement that the IT teams would now own the initiative occurred just before our annual IT planning conference. During most years, we lock ourselves in a room for several days of bad takeout food, worse coffee, and questionable prioritization exercises. I usually find myself at the end feeling bewildered at some of the initiatives that are given the green light. For example, last year we approved a hideous EHR conversion project for a single practice, but placed a project for hospital charge capture on the back burner even though the charge capture project was cheaper and easier. For the physicians on the team who are used to assimilating numerous disparate data points and coming up with a diagnosis rapidly, it was pure torture to sit creating grids, weights, and ranks for various decision points. The hospital spent a huge amount of money licensing the program and training all of us, however, so we’re stuck with it. For each project proposal, we have to create a matrix where we then rank things to hopefully achieve an objective outcome. It’s a completely biased process, however, because most of us know how to game the different measures to up- or down-rank a project. The outcomes remind me of the worst kind of back-room dealing. At least if we agreed up front that the decisions would all be political, we could save a couple of days and a few thousand calories of bad catering. This year, we really should have skipped it. The results were so skewed it can hardly be called a prioritization process. Every project proposal seemed to earn the highest marks except for ICD-10 and MU-2, which of course shouldn’t have been part of the process since they’d already been labeled as mandatory. My current boss is extremely non-confrontational, so this behavior was allowed to continue. We are now left with a list of things to do that would require a team three times our current size. So much for prioritization. Now it’s up to the managers to get together and cut deals to see they can help each other out and what projects overlap or can share resources so we actually have a shred of hope that we will get them done. There’s certainly no extra money floating around, so we’re going to have to shuffle the pieces on the board and figure out how to deliver the impossible. It’s lining up to be a very interesting year. Have a great story about your organizational planning strategy? 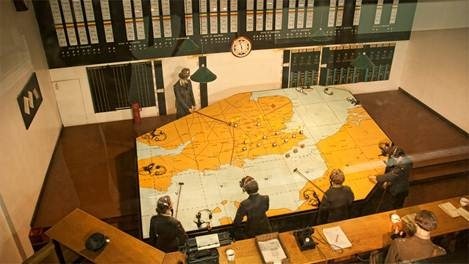 Do you feel like you spend every day in a war room? E-mail me.